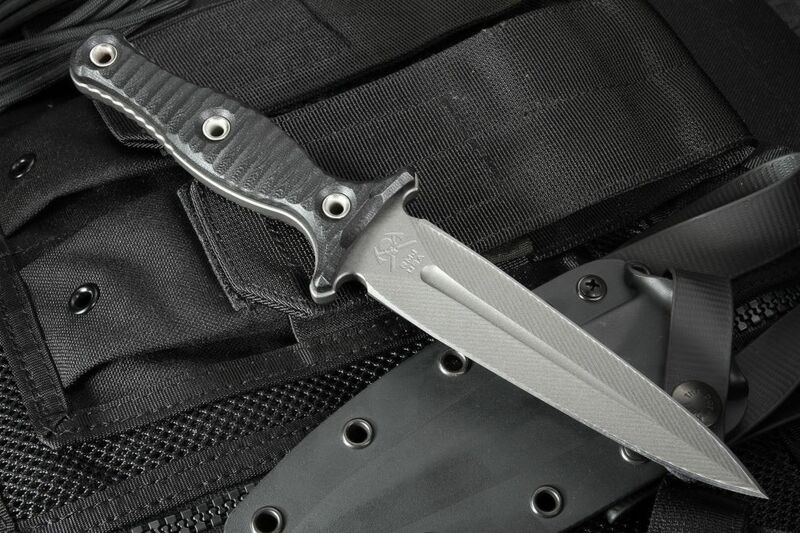 The G-10 3D textured handle is open riveted right onto the full-tang construct of the blade steel, allowing for other applications with the help of paracord, as well as a sure grip without. 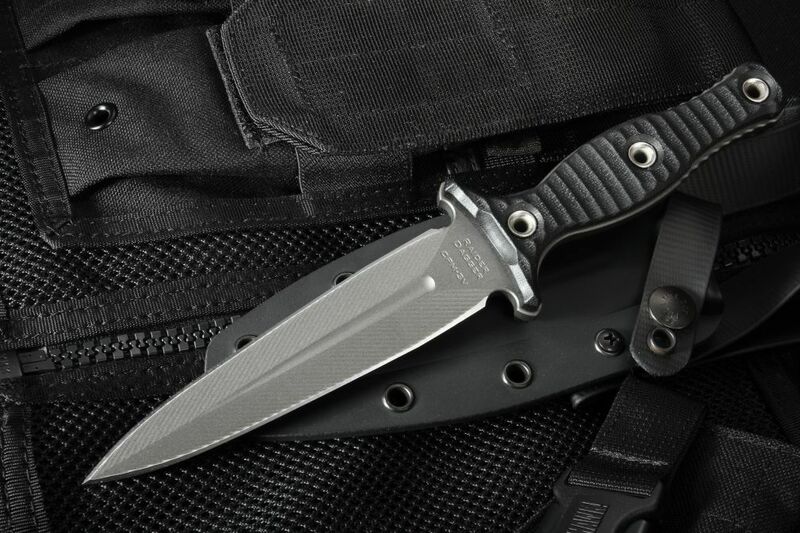 The durability of G-10 will provide you comfort and reliability, use after use. 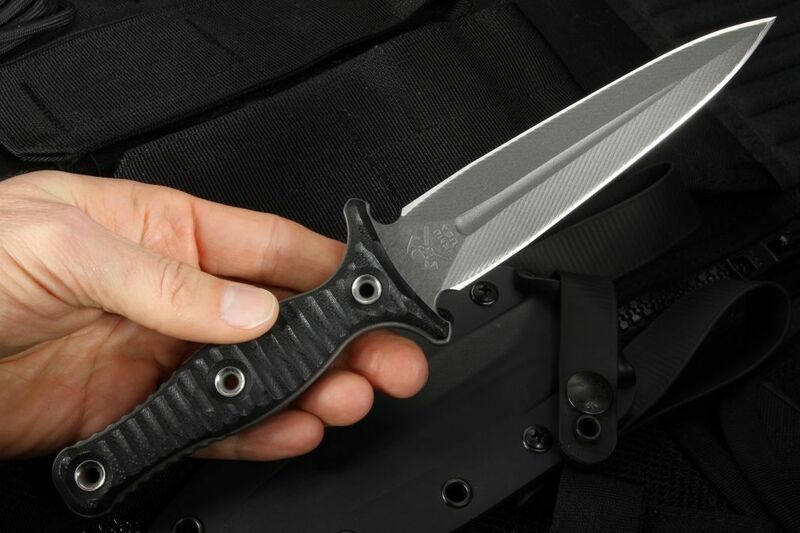 At 7.43oz, this knife won't feel like a burden to carry with you, but the weight lets you know you have a formidable tool at your disposal. The RMJ Tactical Raider is available in three colors: OD Green, Hyena, and standard Black. 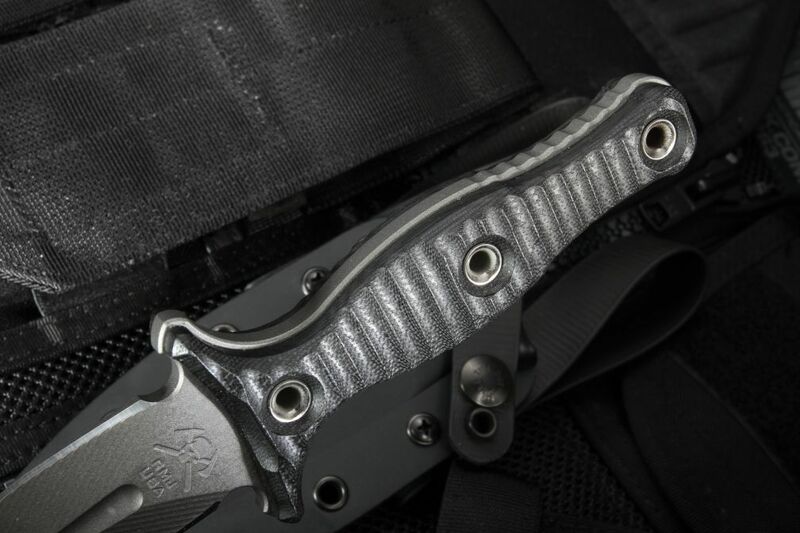 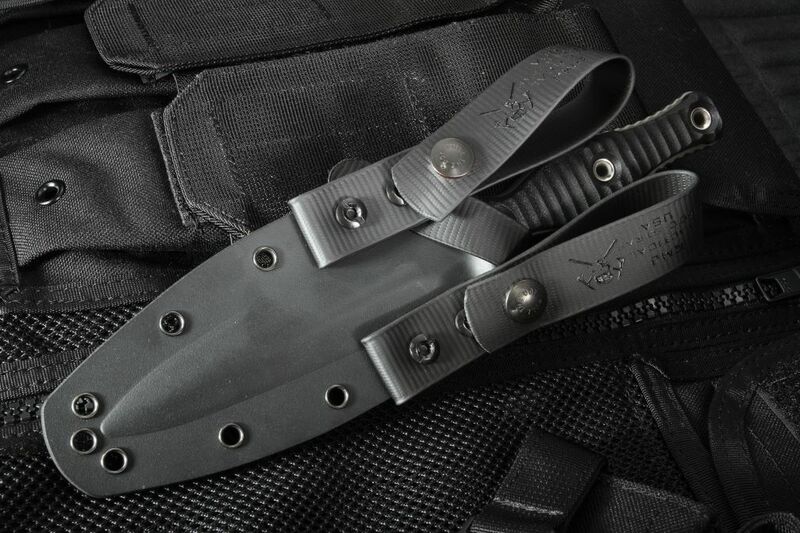 Each Tactical Raider comes with a kydex sheath featuring belt loops which can be used with MOLLE straps for a wide variety of carry and placement options.